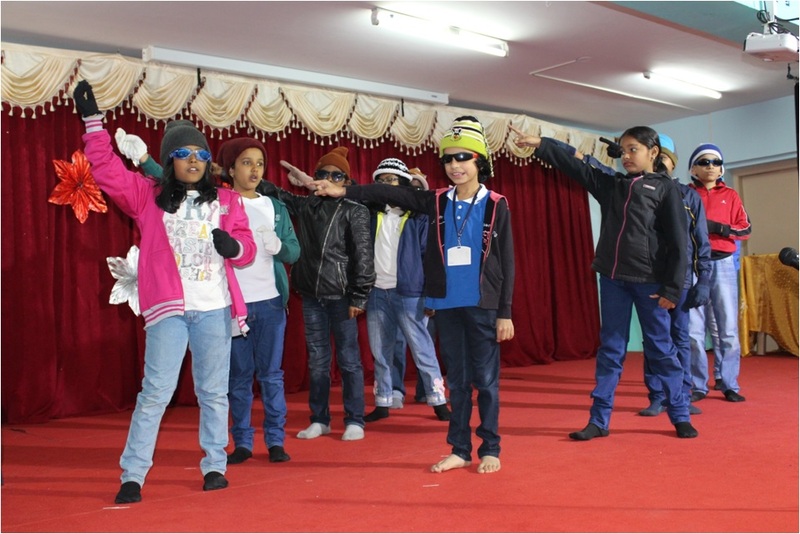 Theatre Capital has been associated with Aradhana Academy for the last three years and this has indeed been a successful journey .Aradhana Academy has traversed conventional boundaries and strongly embraced the medium of drama as an educational tool for a student’s overall development . The school management has recognised and encouraged the value that theatre in education imparts in developing emotional , physical , social , behavioural and interpersonal skills . Principal Rev.Sr.MolyParayil has been instrumental in providing such a platform of drama for the school and the students. Thanks to Sr. Moly , the junior section and middle school are exposed to the magical world of drama and that magical transformation of each of the children is there for all to witness . The Theatre Capital team has been training over 400 students annually at the school for the past three years through the Helen O’Grady International Developmental Drama Programme. 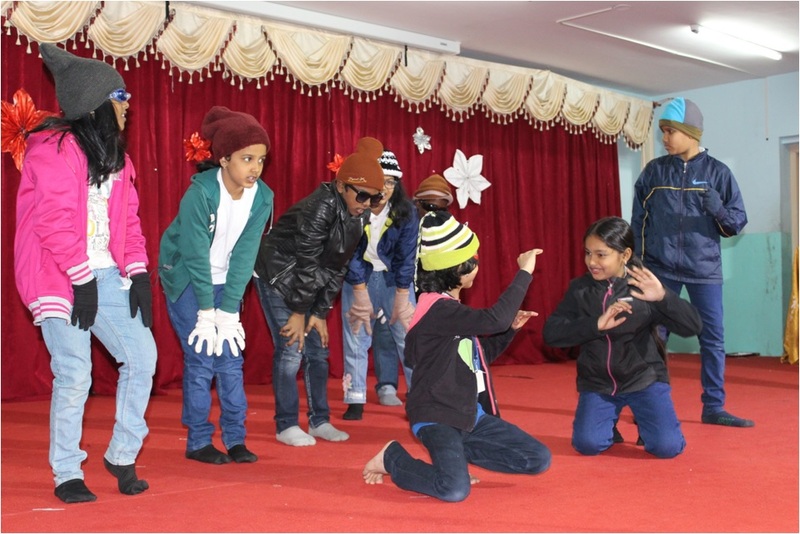 The children from Classes II to VII undergo weekly sessions in developmental drama throughout the academic year . These sessions take the children through numerous activities in speech , movement skills , free & structured improvisations, scene starters , mime to music , mini scripts etc . The Helen O’Grady program has a structured curriculum where the facilitators coach the children in language development , body movements , voice control and projection, verbal and non-verbal communication skills , spontaneity, creative thinking and expression . Story and scene Improvisations train the students in dialogue & plot development, characterization and essential production skills . Every facet of the curriculum is designed to ensure the children grow up to express and articulate themselves fearlessly and with confidence . These sessions pave the way for a year end production which is staged for the parents and teachers . Till date about 36 productions have been staged in the last three years. The students are also given a Helen O’Grady International certificate for successful completion of each year in the programme. A Diploma Certificate is awarded for successful completion of three consecutive years . As part of the Theatre exposure , the students have also been able to watch and experience numerous professional plays which were a part of the inter collegiate as well as national level Theatre festivals like Darpan, In-Bloom and Baptizer - conducted at Christ University . An opportunity to watch these plays in Proscenium Play and Street Play categories is indeed enriching for the students as they take back a lot of learning and memories from the wide variety of subjects and stories covered. The Aradhana Academy team of students and teachers also put up two unique plays at the interschool Miraculous Medal Theatre festival and won accolades for the same.Aradhana Academy teacher MsZarien also won the best teacher co-odinator at this festival. 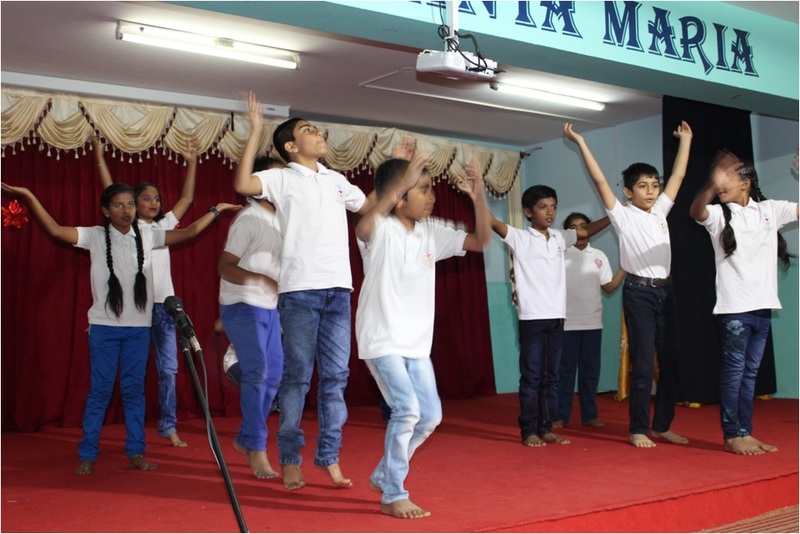 The students of the Aradhana academy have had the unique opportunity to experience a beautiful show “Enki - The water singer “ by the renowned international mime artiste , Mr. Markus Schmid , brought to India by the Helen O’Grady Team in 2015. A multi skilled performer in acrobatics , fencing and various movement and visual arts , Mr.Markusmesmerized the audience with a lyrical and mystical performance to strike an instant chord . Overall, the Theatre Capital team has had an amazing journey with the students , parents , teachers , staff and entire management of the school . And in the coming years we hope to see an institutional transformation with every student of Aradhana experiencing and developing through the latest tools and magic of Drama ! !